'' Thank you so much for helping buy my new electric wheelchair, it has helped me so much because I am now able to attend school full time. Before I got my wheelchair, I was only managing 10 hours a week because of my condition. I now can be in school full time, even if I am having a bad day. It has also allowed me to save my energy so I can do more things I enjoy outside of school. 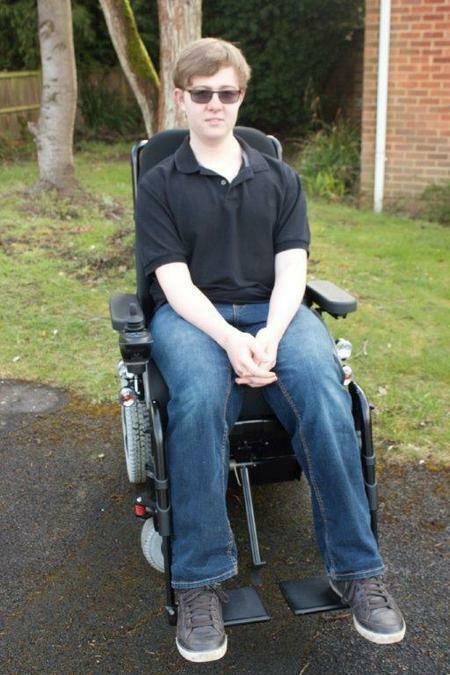 The wheelchair has also helped me to be more mobile and it allows me get to and from school independently. Thank you Alex"